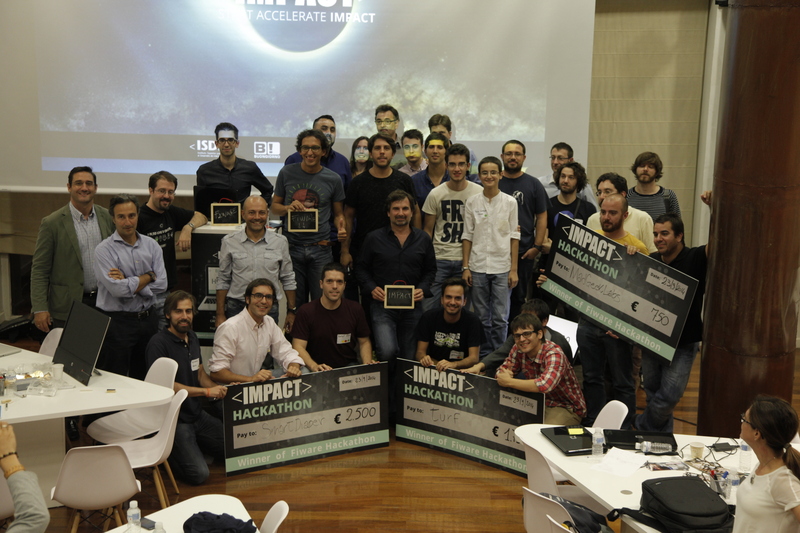 On the 23rd of September, 60 people gathered in Madrid for the first hackathon held by IMPACT, and dedicated to mobile apps using FIWARE technologies. 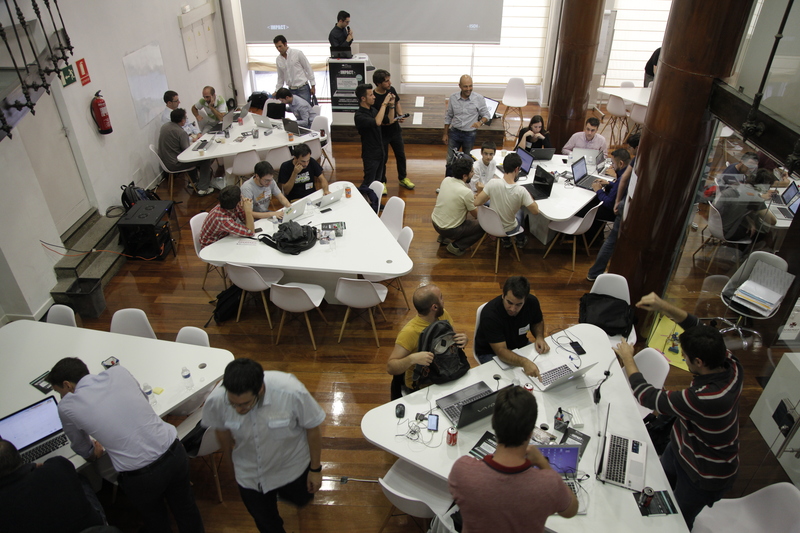 It was a sold out event that aroused much interest among the Spanish tech community. 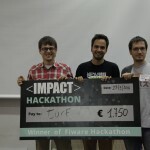 After 5 hours of coding to win one of the three prizes (first: 2,500 €; second: 1,750 €; third: 750 €), the general atmosphere was still friendly and relaxed. During the presentation of our FIWARE evangelist, Fermín Márquez, participants were very interested and active, and after receiving guidelines on what the expected result was, they grouped together in teams of two or three members, who covered all the skills required, from coding to design and business, and which later delivered a presentation and a functional prototype of their idea. 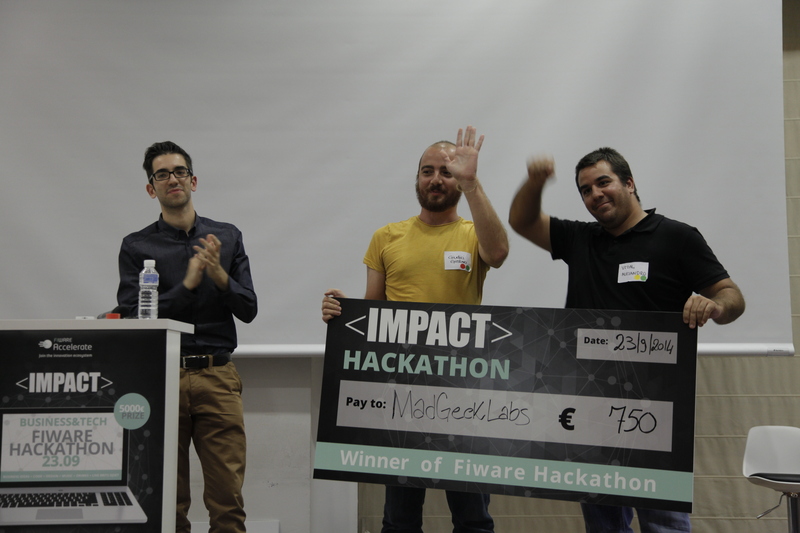 Some of the key factors when assessing the idea were its technological architecture and FIWARE integration method, its usefulness, its business escalation, design, market opportunity and mobility aspects. 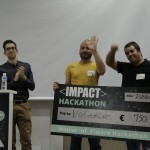 During the coding time, developers counted on the coordination and supervision of the technical team of IMPACT and FIWARE. SMART DIAPER: a tool to be positioned in the diaper that can monitor temperature and humidity of your baby. TURF: with Turf, you can discover what’s happening around and join others to get group discounts and promotions in bars, restaurants and shows. FIBASE: a platform to build a real time app store and seamlessly sync data. Winners were symbolically awarded with a cheque and later relaxed while taking some drinks and listening to some good music! 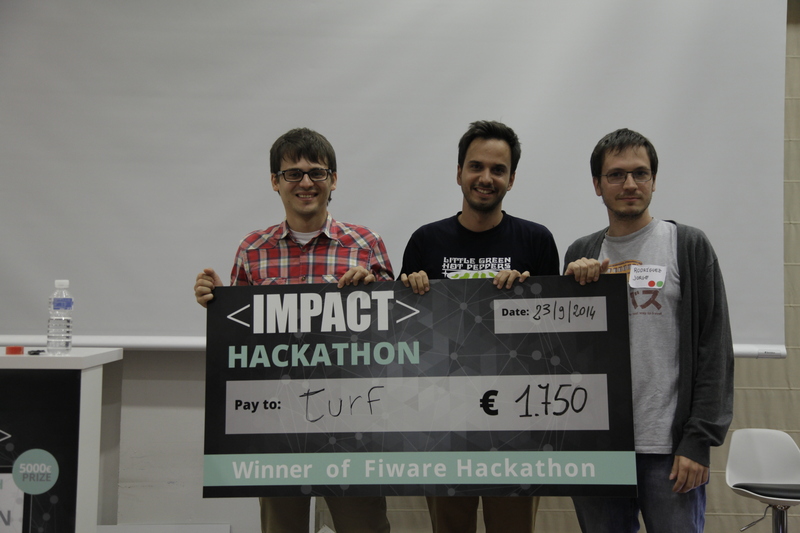 Participants tested FIWARE and found it really easy to use. The overall results of the day were very positive. IMPACT created a buzz and good media repercussion about the initiative and FIWARE, generating over +200,000 impressions. 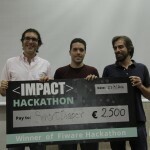 With this first event, IMPACT contributed to increase in a 4 % the use of the FIWARE Cloud.